In this guide on GFSI compliance and certification, we’ll review key points on GFSI, including a brief history of its establishment, current GFSI-recognized schemes, benefits of becoming certified, and the process of pursing certification. GFSI was launched in 2000 under Belgian Law as a result of high-profile food recalls. Consumer confidence was dropping, and the food industry recognized a need to repair its image. The development of GFSI was also brought on by audit fatigue: throughout the food industry, retailers would perform inspections or audits themselves or by hiring a third party. Because there was no internationally-recognized benchmarking system for food safety standards, the redundant inspections became costly and time-intensive for both food manufacturers and their customers. Prior to the development of GFSI, business leaders from globally-recognized food companies conferred at The Consumer Goods Forum and agreed upon the collective pursuit of an improved, safer supply chain. To synchronize food safety standards and reduce unnecessary audit repetition, GFSI was created as a collaborative platform for food safety experts, government officials, academia, and international organizations. GFSI compiled its first draft of benchmarking requirements, which was published in 2001. It wasn’t until 2003 that the first four recognized schemes (EFSIS, BRC, IFS, and Dutch HACCP) became accepted. Still, it took four years for GFSI to gain widespread recognition: in 2007, the “GFSI Breakthrough” occurred, in which seven major retailers announced their acceptance of GFSI benchmarked certification programs. The participating brands included Tesco, Wal-Mart, Royal Ahold, Delhaize, Metro, Carrefour, and Migros. Three years later, the Global Food Safety Conference was held for the first time, taking place in the U.S. capital of Washington, D.C. Since then, the tremendous impact of GFSI has continued to spread across the food industry. In 2017, the Global Food Safety Conference had record-breaking attendance, with 1,200 delegates from more than 50 nations attending the 16th annual event. The overarching goal of the GFSI is to leave flexibility in the marketplace while simultaneously achieving convergence among food safety management practices. Its purpose is also to create competencies in food safety to maintain consistent, effective global food systems. At the center of its benchmarking model is the GFSI’s Guidance Document, which was developed with the input of multiple stakeholders and drafted by food experts from across the globe. The document outlines the ways in which food safety schemes become GFSI-recognized and provides direction for these schemes. The Guidance Document is updated regularly to promote relevant and robust food safety management requirements. In order to become officially recognized by GFSI, a food safety certification program (often referred to as a recognized “scheme”) must comply with internationally-recognized food safety requirements. GFSI itself is not a certification program, nor does it perform certification or accreditation activities. Thus, companies that wish to become GFSI-certified must choose the scheme that best aligns with their activities. To help you come to an informed decision on the right option for your company, the following sections provide a brief overview of each GFSI-recognized scheme and how they serve different facets of the food industry. Formed in January of 2010, PrimusGFS is a GFSI benchmarked standard best known for its recognition by buyers in the Western Hemisphere. The audit scheme is endorsed by more than 2,000 growers and provides total produce supply chain coverage. It is owned by Azzule Systems and supports total produce supply chain coverage. It is available for certification in 15 countries, including the U.S. and Mexico. International Featured Standards (IFS) is used to audit food manufacturers regarding safety and quality of processes. IFS is more common in Europe than in the U.S., but some North American countries find it beneficial to become certified in the scheme. It has recently added a section on food fraud to more closely align with the outcomes of FSMA. Requirements are organized into six categories, including: senior management responsibility; quality and food safety management system; resource management; planning and production process; measurements, analysis, and improvements; and food defense. There are currently three available IFS schemes for companies to choose from, including IFS PACsecure for the packaging industry; IFS Food Standard, focused on food safety and quality of processes and products; and, IFS Logistics for auditing companies responsible for the storage, distribution, transportation, loading, and unloading of food products. The Global Aquaculture Alliance Best Aquaculture Practices (BAP) seafood processing plant standards were benchmarked against GFSI requirements in May of 2013. According to their website, their certifications have made them the leading standards-setting organization for aquaculture seafood. Global Good Agricultural Practice (GAP) is a global standard promoting safe, sustainable agriculture. Certification is available for three scopes of production: crops, livestock, and aquaculture. It is the most widely implemented farm certification across the world, and many European customers require certification in this scheme. As its name suggests, the Global Red Meat Standard (GRMS) is a scheme developed for the promoting safety in the meat industry. It applies to all aspects of the supply chain, from transport to slaughter and handling of meat products. More than 18,000 companies in over 140 nations have received certification in FSSC 22000, which is based on existing ISO standards. There are more than 1,500 auditors across the globe and 110 licensed certification bodies in place. CanadaGAP is a food safety standard that was developed in Canada to promote the safe handling of fruits and vegetables. There are two manuals for industry use: one for greenhouse operations, and as separate one for other fruit and vegetable operations. To be certified through the Safe Quality Food (SQF) Institute, food companies must go through a three-step process to ultimately demonstrate comprehensive implementation of food safety and quality management systems. According to their website, SQF is the only scheme that integrates a quality component in addition to safety. BRC Global Standards is the largest global GFSI scheme. It is divided into seven sections: senior management commitment and continual improvement, HACCP, food safety and quality management system, site standards, product control, process control, and personnel. There are four available BRC schemes to choose from, including the BRC Global Standard for Food Safety and the BRC-Institute of Packaging (IoP) Global Standard for the quality and safety of packaging and packaging materials. The BRC Global Standard for Agents and Brokers Issue and BRC Global Standard for Storage and Distribution certifications are also available. Many leading companies seek GFSI-recognized programs in their supply chain, including Amazon, The Coca-Cola Company, and Target, among others. In fact, the leading reasons many food and beverage companies seek certification are to continue doing business with an existing customer or to begin doing business with a new customer, according to a 2017 study published by the Journal of Food Protection®. Ultimately, to contend with leading brands, today’s food and beverage companies can leverage GFSI certification to demonstrate their commitment to quality and safety. Beyond securing a competitive position in the market, here are a few additional benefits of becoming GFSI certified. Certification can drive internal business results as well. The study above revealed that nearly 90% of respondents felt becoming certified aided in addressing food safety concerns, and 74% would become certified again even if their customers did not require it. The majority of companies also witnessed an improvement in Key Performance Indicators (KPIs) in the year directly following GFSI certification. GFSI standards also support safer products. GFSI-recognized schemes provide shared risk management tools, so food safety management is optimized across all levels of the supply chain. When your company becomes certified, your food safety management system will continuously improve with evolving standards. You’ll therefore be positioned to keep up with the latest requirements in safety at any given time. While becoming certified requires an initial investment of time and labor, the benefits of certification have a profound impact. With fewer redundancies in audits, for instance, you can focus your company’s time and efforts on more strategic initiatives. Additionally, complying with GFSI standards helps you achieve reduced failure, which can also positively impact your bottom line. Again, GFSI itself does not perform certification or accreditation activities. Thus, you’ll first need to determine which scheme(s) are best for your organization based on the types of activities of your operation. Next, contact the program owner that covers your scope to determine which specific certification program fits your activities. You can then request a list of approved certification bodies that perform audits against their program, or skip directly to contacting the certification body to request an audit. Before doing so, however, you should first obtain a copy of the certification program you’ve collected. 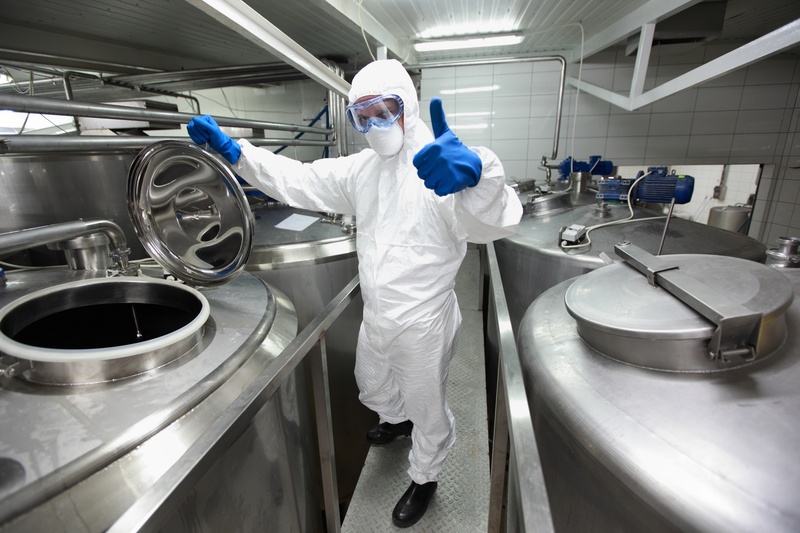 Read through the requirements carefully to pinpoint any gaps between your current food safety operations and where they should be for audit success. Meet with your management teams and other key stakeholders to discuss costs and action steps needed for preparation, audit, and ongoing compliance. You may consider having a pre-audit performed prior to the official inspection or attending a training course to further boost preparation. Of course, the process of becoming certified is only the first step in developing a robust GFSI program. Following certification, you must also ensure ongoing compliance. This should include continuous audit preparedness, vendor management, scheduling and monitoring required activities, and performance trending for ongoing improvement. While each of these activities is essential for compliance, performing them regularly can become time-consuming and resource-intensive. To reduce the administrative burden, more and more companies are deploying technology to manage their GFSI certification requirements. Automated task scheduling and workflows can save your team a significant amount of time, while also verifying all tasks are completed. Additionally, online portals can simplify data retrieval for remote teams and multiple locations. You can also use equipment data extraction to ensure efficiency and accuracy. Plus, with real-time data analysis and program specifications, you can receive instant non-conformance alerts to achieve timely, documented CAPAs. Food safety software also offers automated vendor program management, helping to ensure suppliers follow your GFSI, FSMA, and internal supplier program requirements. This allows you to take a preventive, instead of reactive, approach to non-conformances throughout the supply chain. Finally, software gives you the power to continuously drive performance with data-driven decision making, as well as ongoing audit readiness via electronic data capture and storage.